Being a business owner you know well the hardship and effort behind a growing business. It requires plenty of time and an enhanced dedication. It requires all your focus and time investment as it is not easier to take your business towards the new heights of success. An unmanaged, outdated software implementation can harm your effort and productivity along with complete performance. While the implementation of a single solution that could be easily accessible by all of the team members help in enhancing the efficiency as well as performance. It has increased the internal collaboration to avoid any issue or miss understanding. So, Saudi ERP System implementation is the perfect solution for all of your business problems. It supports the growing business in all aspects. Here, we have tried to place some important signs to demonstrate that implementation of Enterprise Resource Planning (ERP) is required. We’re living in the digital era and mobility is the significant feature of business success. A business can attain multiple advantages at a competitive level that support in increasing the productivity and organizational growth. Today’s potential talent is embracing freelance and work as a remote worker. They’re finding remote working as more comfortable. Therefore, today’s organizations by understanding the mindset of employees and reviewing the competition should adopt a system that could be easily accessed but all employees. It should be accessible for all in-house and remote workers through multiple devices by reviewing their ease. An ERP system is available for the mobile competencies. ERP is easily accessible to all employees whether they’re traveling, in contract or offering services remotely. It shares automatic notification, regular updates and makes it easier to access all relevant information. It also has enabled the management with right decision making by sharing all relevant information and deep business insights. Sales and accounts department of an organization is the significant element. These departments should be equipped with an up-to-date software solution. 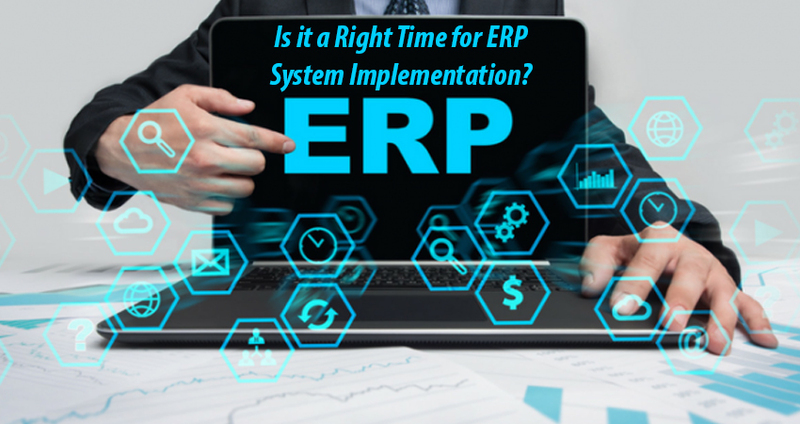 If you’re still using traditional solutions and the teams are asking about the latest solution, be aware this is a time to move towards Enterprise Resource Planning (ERP) system. If you’re not focusing on the requirement, the management could be slow down that automatically affect the productivity. Your sales invoice are prepared and distributed through paper-work, this is a strong indicator or ERP requirement. Proceeding sales orders manually and distribute the invoices with manual calculation will not effectively work in this digitalized world. Your outdated practice of manual system is going to hit your market worth. Here the adoption of right ERP system makes it easier to access and share the valuable information. The right software enables the easy flow of information in real-time. In manual data management, it seems to default to access all inventory and sales information at the same place. ERP implementation enables a comprehensive view of all relevant information at single place. It automatically updates if inventory is out of stock and support in proficient management. Along with the sales and accounts department, ERP implementation also supports the customer services department. It enables a single information view for all relevant departments with the accuracy. If an information is updated from one department the update status will be displayed to all. A clear and comprehensive picture is provided through the software solution. 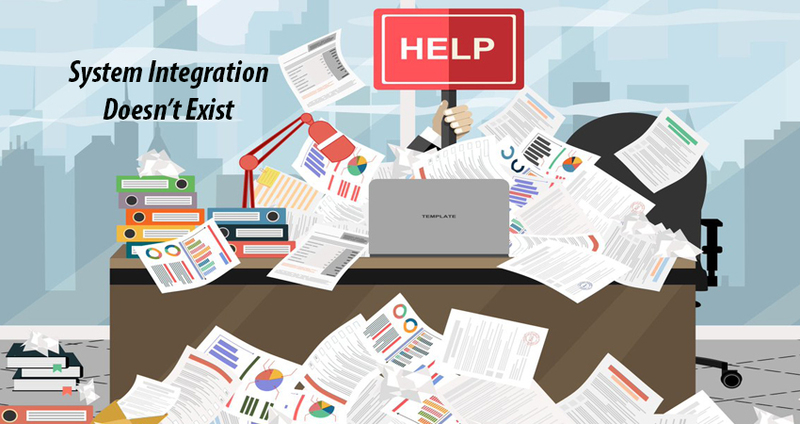 ERP system integrations offer a convenient flow of information and tasks within the organization without any geographical limitation. All data is efficiently distributed to all departments through a single workstation. If you’re still using the spreadsheets and multiple systems to access, update and store information, this is a right time to implement ERP. You need to consolidate all of the information with accuracy. If you’re are using multiple software to manage the organizational tasks. It could be difficult to handle in growing business. It lowers down staff productivity and you’ll encounter a wide range of challenges. ERP has centralized all of the important information that helps in different business operations. There is no more need to worry about file consolidation and record reconciling. ERP system integrations ensure that all of the systems available in an organization are communicating and allowing data to access by all relevant and authorized personnel of the organization. The connection is a key to success and ERP ensures to establish a strong connection with all department. As a business owner, you can also access information and keep an eye on growth forecast. No more need to check separate files, you can easily divert your mind towards the business essentials. Review the insights, identify the flaws, access right information and plan your success strategies accordingly.